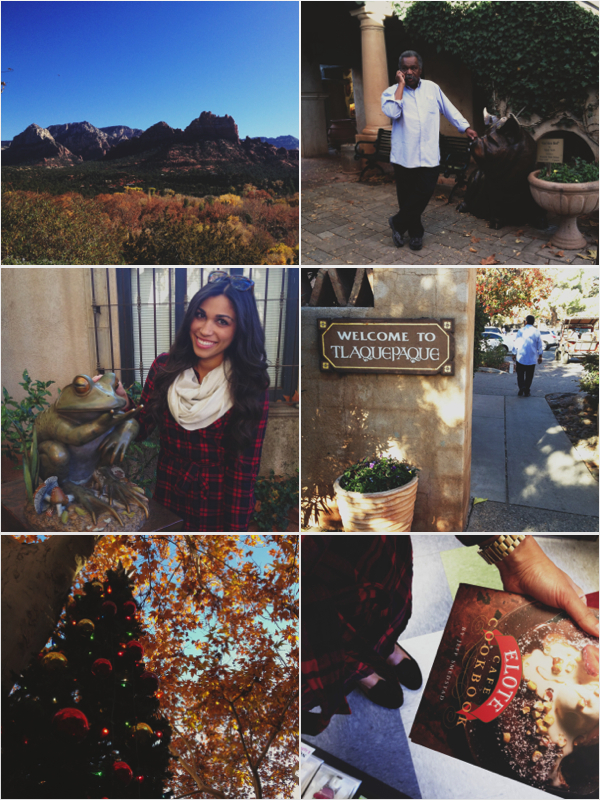 While my dad was in town, we took a day trip to the chilly city of Sedona (chilly in Arizona standards). It was 60 degrees! How glorious! Whenever I have visitors in town, I easily forget about the close daytrip options we have in this state. Sedona, Jerome, Prescott, Tucson, Bisbee, even the Grand Canyon if you're feeling extra adventurous! Usually saved for longer visits, when my fam & friends come into town I like to pick one small town to explore. It's a great way to get out of my usual Phoenix & Scottsdale bubble and traipse around the state, which I may not have done without them. A little fresh air never hurt anyone. In other news, being in Sedona didn't make me any more psychic. Even with all the vortexes! And the Elote Cafe was closed for the third time that I've attempted to visit. Looks like I'll be needing to head up again soon! Looks like you had a great trip! And you can't forget Lake Powell in the summer!! That's where I live :)) But I totally agree, us Arizonans totally don't know what cold is ;) I'm just glad I don't live back east! Hope you have a great rest of the week! Oh & I forgot to mention, how much I love you jacket, so cute!! Fun! Don't be too bummed about Elote... my last experience didn't impress. Also, I'm loving your hair in that pic. Any chance you'll share how you get your curls? I'm always looking for new techniques!